Brad Schmett of Brad Schmett Real Estate Group and Keller Williams Realty has announced today that the upcoming January 25, 26, 27 and 28, 2018 Southwest Arts Festival in the Palm Springs area will be a huge boost for local real estate as thousands of patrons head to the Desert to attend the gala event. My team and I are delighted to show off our incredible inventory of luxury homes and estates this year. Brad Schmett of Brad Schmett Real Estate Group and Keller Williams Realty has announced today that the upcoming January 25, 26, 27 and 28, 2018 Southwest Arts Festival in the Palm Springs area will be a huge boost for local real estate as thousands of patrons head to the desert to attend the gala event. This marks the 32nd Annual Festival for the prestigious art show. Brad Schmett of Brad Schmett Real Estate Group and Keller Williams Realty today announced that the upcoming Southwest Arts Festival at the Empire Polo Club in Indio during the last week of January, will attract thousands of art collectors and spectators hoping to add to their art collections and their real estate portfolios. Each year the festival continues to become larger and attract an elite coterie of gifted artists from every medium. Featuring more than 250 artists from around the world, the Southwest Arts Festival has been celebrated by Travel Magazine as one of the Top 100 Events in North America for the past several years. Over the previous three decades the festival has grown exponentially and now boasts a full four days of exhibitions, which includes fundraising efforts that support several Indio-based nonprofit organizations. More than 200 community leaders and volunteers come together to ensure the success of this signature Palm Springs area event. The festival will be open from 10 AM to 5 PM all four days with a general admission price of $15 and only $13 for Seniors. Expect plenty of great shopping, food, and live entertainment under warm sunshine, surrounded by the natural beauty of the California desert. 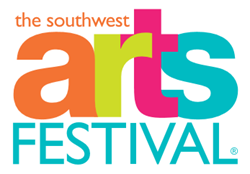 For more information, visit the Southwest Arts Festival. To find out more about investing in Springs area real estate, visit Brad Schmett Real Estate Group.